Kent Meter is an industry Leader in the devlopment and implementation of innvoitive metering solutions to the Metering Industry and is committed to address the unique challanges the industry faces & including increasing customer demand. 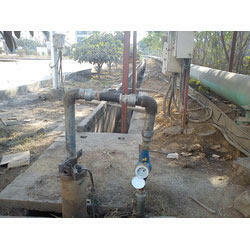 Prominent & Leading Manufacturer and Exporter from Raipur, Kent offer Metering Solutions as given under. Strictly manufactured in compliance with the set industrial guidelines, the quality standard of these Fuel Transfer Pumps is never compromised. Widely used for the purpose of cleaning old engine oil and replacing it with the fresh one, these are one of the highly preferred products that are available in the market. Being one of the market leaders, these products are manufactured using the best quality raw materials and processed through a number of quality checks. 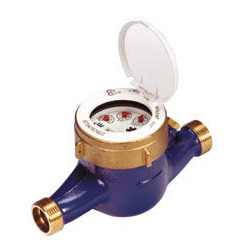 We are considered to be one of the leading providers of this Water Meter Calibration. Known for its quality, the service is offered to clients by some of our highly trained and experienced professionals. The service offered helps the meter maintain its accuracy. For the purpose of maintaining its quality, we engage in the use of modern tools and equipment. 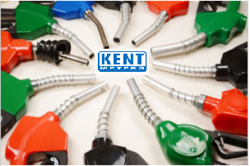 Kent Diesel Bowser and dispense exact quantity of fuel oils like Diesel, S.K.O. etc. to stationary, heavy/ Slow moving machinery or retailing in remote areas. Driven by P.T.O.of Tanker Truck / Battery 12 VDC/24VDC / 230V Supply. Strongly built and designed to give trouble free performance even operated in harsh environment. Fuel Transfer Pump for Diesel Browser are positive displacement flow totalizers. They are highly reliable and accurate and provide trouble free service for a long period of use.Fill-Rite Meters are being used by large number of Industries and are giving excellent service to them. With high accuracy meter is mainly used for fuel transportation of mining machinery, generator sets and other equipment fishing boats, cruise ships and small-shaped refueling points. With cast iron body, anti-corrosion coating, inside and outside the filter, aluminum motor, it is easy to clean. Its advantages are self-priming fast, high head,small, portable and convenient. This product is a good helper of enterprise, mines, construction sites, fishing boats, cruise ships and small form refueling point. 12V/24V/230V working voltage, light weight, it is easy to move the reading clear. Customers can choose various kinds of joints and nozzle for more convenient use. ( Do not use gasoline and other low-ignition point liquids. Kent new fuel transfer nozzle with electric meter is designed for transport companies, Mines, factories and households. 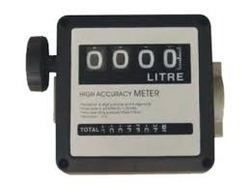 Easy to change the spare parts, install and maintain .For different country use, the high accuracy meter comes with 4 unit options Liters (L) /Gallons (GAL)/ Pints (PT)/ Quarts (QT).By fine adjusting, the accuracy of the meter can be as high as ±0.3%. The battery can supply 9000 hours approximately operation. An instrument for measuring the pressure of a liquid or gas, or something related to pressure (such as the compressibility of liquid). 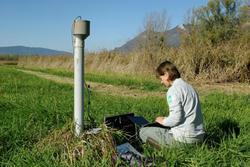 Piezometers are often placed in boreholes to monitor the pressure or depth of groundwater. We are listed among the top Porous Tube Piezometers Manufacturers, Suppliers and Exporters The technologically advanced Porous Tube Piezometers offered by us is widely used to monitor piezometric water levels. Designed by experts in accordance with internationally accepted quality and performance norms our Porous Tube Piezometers have been termed as a must have for any agency dealing. We are known to be one of the leading providers of this quality Elster Metering. Manufactured in compliance with the set industrial standards by some of our prestigious vendors, the product’s quality is never compromised. It is used for the purpose of measuring pressure, flow and temperature of water in several water treatment plants. 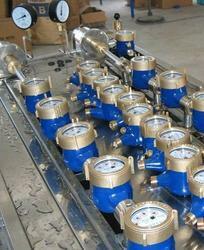 Oil ( petroleum products) flow meters. We are considered in the market to be one of the leading manufacturers and suppliers of this quality Electromagnetic Digital Flow Meter. It is widely used for various chemical industries and water treatment plants for the purpose of checking the flow and pressure. Manufactured using the best quality raw materials available in the market, this product offered by us in the market is highly praised and preferred. This Oil Flow Meter offered by us in the market is known for its accuracy and high functionality. Offered to the clients at a very reasonable rate, this product manufactured by us using high grade raw materials, is highly asked for. Known for its use in generating information on oil consumption in generators, the performance it provides is highly commendable. Among the many flow meter designs available today, it holds the top place both in performance and in field proven appraisement, is must for high viscosity fluids. Owing to the quality raw materials used in its manufacturing, this Automatic Reading System is quite sturdy and durable. Offered to clients at a very reasonable price, this product of unmatched quality is highly demanded. This offered product is a wide scale solution for physical trips to each and every location for the purpose of reading meters. Further, the efficiency this product offers makes it one of the first choices in the market. Offered to clients at a very reasonable rate, these Residential Water Meters offered by us in the market are highly praised. Known for their efficiency in measuring the temperature, flow and pressure of water in a residential water system, the offered products are highly demanded in the market. Manufactured using high grade raw materials and advanced machines, the products are sturdy, durable and have a compact design. 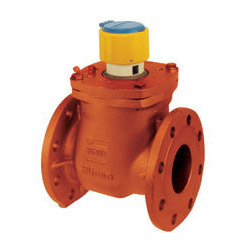 Manufactured using the best quality raw materials available in the market, this Hot Water Meter is quite sturdy and durable. Its high heat bearing capacity is commendable and is unmatched in the society. This product offered by us in the market is used for the purpose of monitoring flow and pressure of hot water. Offered at a competitive price, this product is one of the best available in the market. Maximum working pressure of: 16 bar. Owing to its reasonable pricing and unmatched quality, this Water Meter for Bore Well manufactured by us is highly praised in the market. The manufacturing of this product involves using of the best quality raw materials and advanced machinery. Its sturdy and durable construction and market leading price make this product one of the first choices in the market. This product is widely used in several bore wells, for the purpose of monitoring the flow. 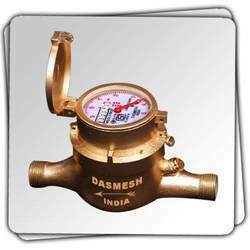 Dasmesh Water Meter are designed to provide with best sensitivity at the low flow rate and with Precise accuracy that is preserved for long period. 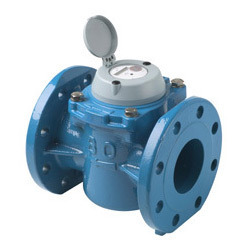 Domestic Type water meter Multijet dry dial inferential type magnetic driven resistant to exterior magnet measuring accuracy confirms to ISO 4064 Class 'B' vacuum sealed registered ensures the dial free from fog and keeps the reading clear in the long run. Kent Fuel Transfer Pump for Diesel Browser are positive displacement flow totalizers. They are highly reliable and accurate and provide trouble free service for a long period of use.KENT Meters are being used by large number of Industries / Mines and are giving excellent service to them. 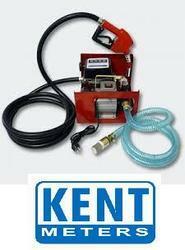 Make a functional Kent Mobile Mini dispenser and dispense exact quantity of fuel oils like Diesel, S.K.O. etc. to stationary, heavy/ Slow moving machinery or retailing in remote areas. Driven by P.T.O.of Tanker Truck / Battery 12 VDC/24VDC / 230V Supply. Strongly built and designed to give trouble free performance even operated in harsh environment. Mainly used for fuel transportation of mining machinery, generator sets and other equipment fishing boats, cruise ships and small-shaped refueling points. This product is a good helper of enterprise, mines, construction sites, fishing boats, cruise ships and small form refueling point. Our diesel fuel service carts are designed to address the specific needs associated with both light- heavy-duty diesel fuels. These Carts are available with larger tank sizes up to 150 gallons – incorporate a dedicated diesel fuel delivery system, diesel fuel hose and standard diesel fuel nozzle. Because of the additional weight when full, these carts come standard with both heavy-duty, roller bearing casters and welded fork lift rails to facilitate easy movement. · 40 gallon / 151 liter fuel tank capacity. 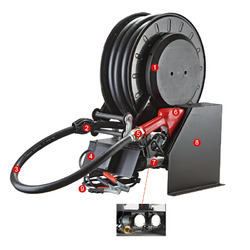 · Non-collapsible 12ft / 3.66m fuel hose. 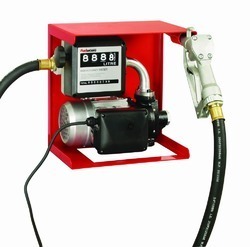 · Brand name auto-shutoff, unleaded fuel nozzle. · Canister-style, screw-on fuel filter. 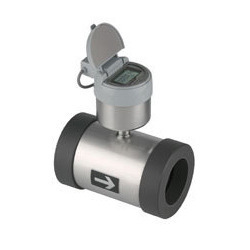 · Mechanical; 1/10 gallon resolution flow meter. · Gasoline High gloss ‘RED’ with white vinyl ‘GASOLINE’ decals on tank. · Alcohol High gloss ‘YELLOW’ with white vinyl ‘ALCOHOL’ decals on tank. 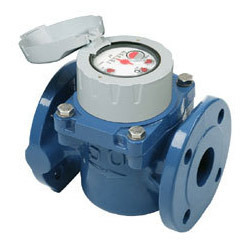 Being one of the leading manufacturers and suppliers of this quality Bulk Water Meter, we never compromise with its quality. Thus the product we offer is known for its impeccable performance in monitoring large scale water systems. Manufactured in compliance with the industrial norms and guidelines, using high grade raw materials, the quality of this product is always maintained. 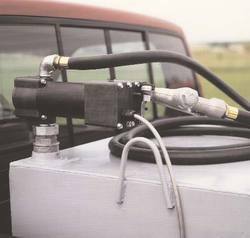 Kent products to make a functional Diesel Bowser. 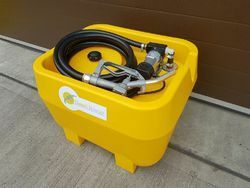 PTO Driven Diesel Bowser is a self contained fuel dispensing unit which has been designed to meet the needs of fuel distributors who’s customers require ‘Metered’ deliveries of fuel into plant equipment, building sites, generators, boats, green houses etc. In this application, the tank truck (Diesel Bowser) must be pre fitted with P.T.O. (Power Take Off) system. This system is generally provided by the truck manufacturer to handle hydraulics or other power applications. If it is not fitted in the truck, then it is to be procured from the manufacturer or from the market in accordance of model or make of the truck. The supplied items are to be fitted by any skilled fabricator on the truck chassis in accordance with the enclosed sketch (PTO Mechanism). Looking for Metering Solutions ?